Nick Mead, Todd Marshall and their treasure. Fuel compartment of the armored T54/69 was concealing 5 gold bars. 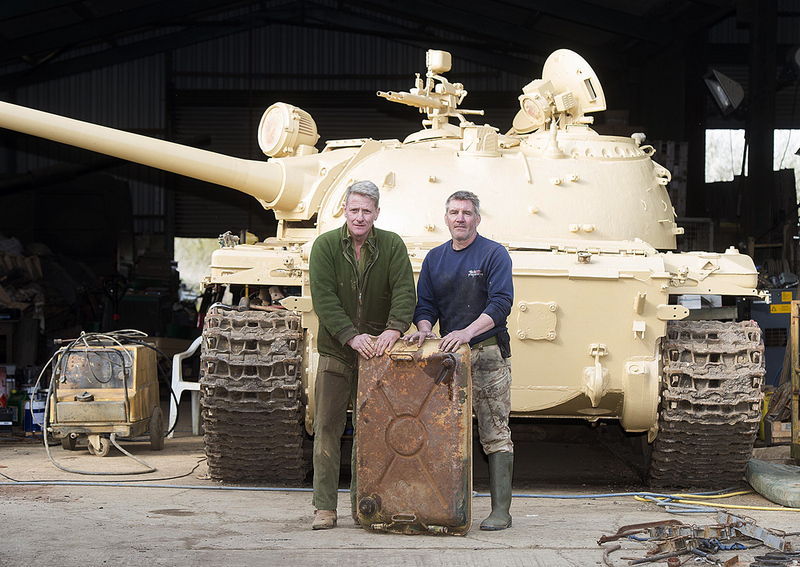 British collector Nick Mead chanced upon five gold bars in a Russian T54/69 tank he purchased, UK newspaper The Sun reported on April 9. To their utter surprise, Mead and a mechanic opened the fuel compartment and found the hidden treasure. He traded a military lorry and an old self-propelled gun for the T54/69 on eBay in a deal worth roughly $37,000 (£30,000). The gold bars, weighing up to five kg each, are estimated to be worth about $2.5 million (£2 million) in total. The men didn't know what to do, so they called the police. They believe the gold was looted by Iraqi soldiers, who used the tank in Kuwait during the Gulf War (1990-1991). The vehicle was eventually captured by the international coalition that included the UK. About 300 T54 tanks were sold by the USSR to Baghdad in 1959-68. Mead already has about 150 military vehicles in his collection and gives people the chance to drive his tanks on his farm in Northamptonshire, England.